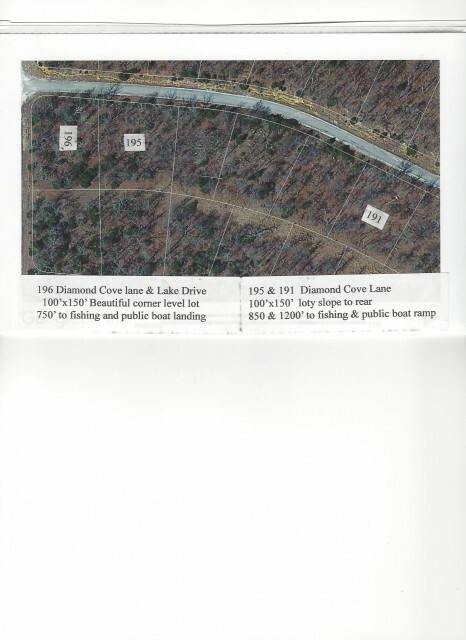 This great lot is close to Diamond Lake and covered with beautiful natural foliage. City water, electric and telephone. Septic system is required. Downhill slope then tapers off on Main traveled road - Many amenities in Horseshoe Bend including library, 2 golf courses, 3 lakes & lots of things to do. Slight slope front to rear. 1/3 mile from golf course, shopping and Crown Lake. Well maintained city street. A great place to build your dream home. Water, electric and telephone. Septic system required. Slight slope from front to rear. Beautiful lot to build your dream home. About 1/2 mile to shopping at the Diamond D mall. City water, electric and telephone. Septic system required. Nice corner lot to build your dream home. 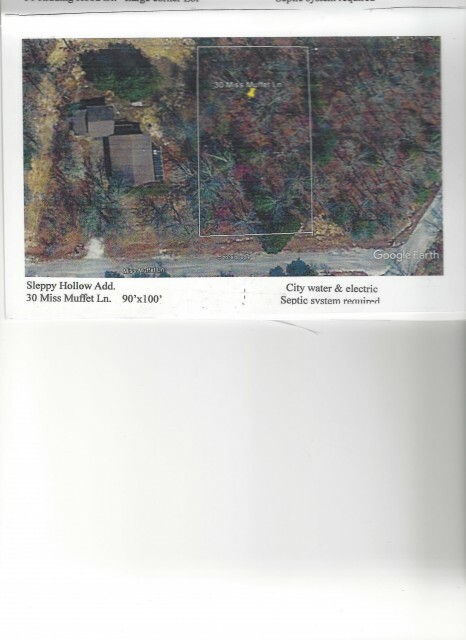 Will need survey and state approved perk for septic system. 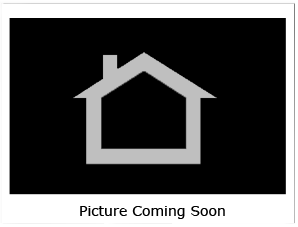 Level and cleared lot in great neighborhood. 1/2 mile to shopping or golf. City water, electric and telephone. Septic system required. 2 nice level lots. Good place to put a camper while hunting. Electric is close. Very Private. 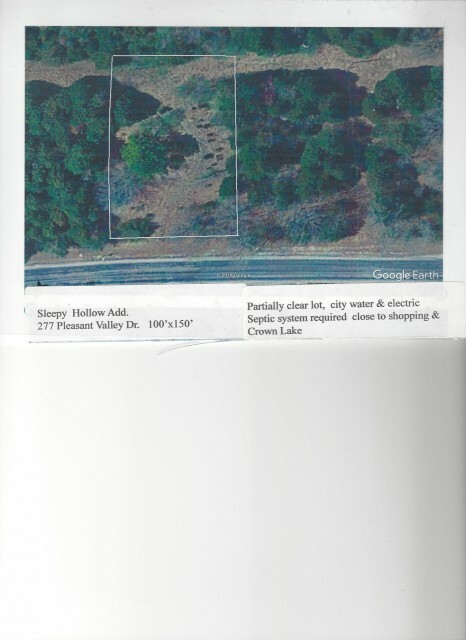 Mostly level lot in town that you can build your new home. Just a few minutes from town center. Three lakes, golf course, library with lots to do if you want to. Low taxes and friendly people. Come and relax and enjoy life. 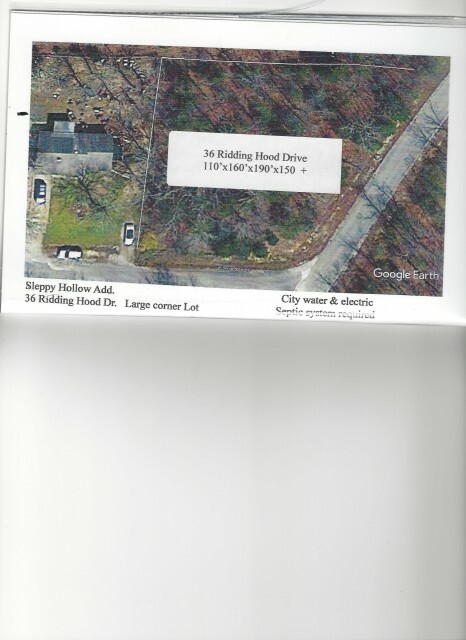 Looking for lot on main road thru town? Here it is . Also a great lot to put you business sign on! Level lot. Good to camp on. Electric on road.